Casual ride of about 15 miles through town with stops for poker hands and lunch. 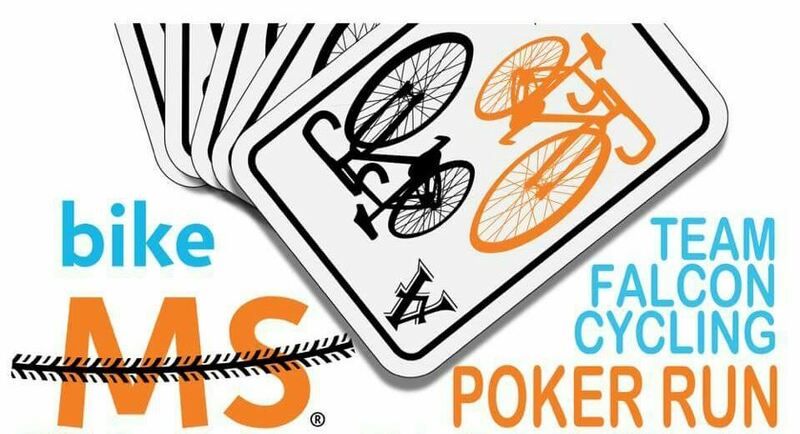 Ride is sponsored by Falcon to support MS Society. $20 at the door for lunch and each hand. Ride begins about 10:15 am. Lunch at 2:15 pm.